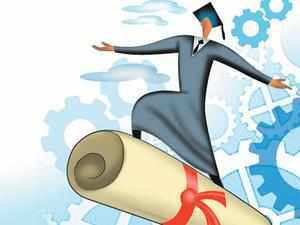 Kolkata, Aug 4 : The National Skill Development Corporation and major universities in northeast India have inked deals to introduce skill-based training in undergraduate and postgraduate programmes of educational institutes, a statement said on Monday. The move is to introduce skill-based training in undergraduate as well as postgraduate programmes of colleges/institutes/departments in these universities in a phased manner, the National Skill Development Corporation (NSDC) said in a statement. The universities' list comprises Krishna Kanta Handique State Open University, University of Guwahati, Dibrugarh University, Tezpur University (Assam), Sikkim Manipal University (Sikkim), Tripura University (Tripura) and Indra Gandhi Technological and Medical Sciences University (Arunachal Pradesh). The courses will be introduced in the second year of undergraduate programmes and cover four semesters in the second and third year of undergraduate programmes. The courses will help boost India's recently launched 'Skill India Mission'. "The students will be given a choice to select any one skill-based course from the identified sectors in addition to the regular academic subjects. "However, it shall not be mandatory for a student to join such skill development courses. The choice is left to the student," the release said. Dilip Chenoy, the managing director and chief executive officer, NSDC, said, "To link skill training to meaningful and fulfilling careers, we are also helping them in placements through Sector Skill Councils and Training Partners who will be participating in the implementation of the programme." The NSDC will ensure 70 per cent placement of students post training. Up to eight sectors will be made available initially for the participating colleges/institutions to choose from. Before the commencement of every academic year, these universities will review the existing skill development programmes in the colleges/institutions with the NSDC. These will consider introducing new sectors and courses as per the demand of the industry and the willingness of the participating institutions. The fee of the courses will be mutually decided by each university and the NSDC in consultation with NSDC approved training partners and NSDC approved Sector Skill Councils, according to the statement.